Casino Niagara Falls Limo visits. Weddings and other special family events. Stags and Bachelorette party transportation. Sporting events such as Leafs games, Bills games, or Sabers Games. A big night out on the town. Conferences, conventions and business meetings. 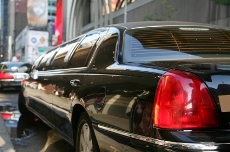 Toronto Airport Limo works very hard at offering you the best possible limousine service in Hamilton. We pride ourselves in establishing long-term relationships with our clients. Our drivers are very well trained and you will never be unpleasantly surprised. We are committed to giving you individual treatment. No matter who you are, a pop star or a hockey legend, a graduate on the way to the prom or a businessperson with a professional image, you'll arrive in style. When you ride with us you'll very quickly see why we have the reputation we do. At Toronto Airport Limo for the Hamilton area, we always strive to more than meet your expectations. No matter what kind of event you are attending-- a wedding, a prom, a very special night on the town-- we can meet your chauffeured transportation needs. And we always treat you like you're special. We employ drivers who the best in the business. They have been rigorously trained in etiquette and discretion, they are polite and articulate. They always provide assistance in a professional manner. They focus on your luxury transport needs and are committed to providing the best limousine service in the Hamilton area. Rest assured that Toronto Airport Limo is available for limo rentals for any event, any special occasion in the Hamilton Halton area. Our Hamilton limousine services can provide luxury limousines for everything from corporate outings to personal celebrations. Please consider Toronto Airport Limo the next time you need courteous, professional transportation in beautifully maintained late-model luxury limos. Our Hamilton Limousine Services are the very best there is in reliable, safe, luxurious transportation. Let us show you our superior mode of transportation services for your special occasion or event in Hamilton and surrounding areas the neighboring communities of: Burlington Limousine Service, Aldershot Limousine Service, Ancaster Limousine Service, Waterdown Limousine Service, Brampton Limousine Services, Greensville Limousine Service, Grimsby Limousine Service, Flamborough, Carlisle, Dundas Limousine Service, Mount Hope Limousine Service, Caledonia Limousine Services, Binbrook Limousine Services, Hagersville Limousine Service and Stoney Creek Limousine Service. Call Us! Our Hamilton Limousine Service would be pleased to offer our airport taxi service to pick you up and shuttle you to/from Toronto Airport,Hamilton Airport or Buffalo Airport. 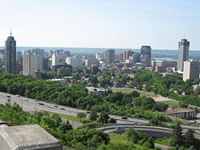 Our courteous, professional Hamilton limousine service will provide your transportation for outings to the following event locations and other special places in and around Hamilton, ON.